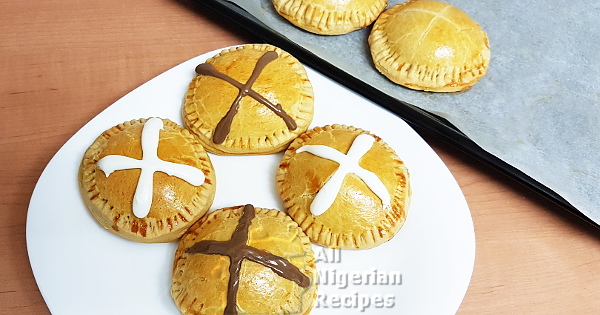 Hot Cross Meat Pies are revemped Nigerian Meat Pies to celebrate Easter with. It is made with minced meat, potato and carrot filling. I got 9 hot cross meat pies with a circular cookie cutter that is 10cm (4 inches) in diameter. Feel free to use half the quantity of the stated ingredients if you do not want to make as many hot cross meat pies.